​Did you know that you can choose your life? As an adventurer, yogi, spiritual seeker, writer, artist, musician, and teacher, Hannah Faulkner, challenges herself to be, learn, and create. She aligns herself with her growing purpose as she transitions between jobs like flight attendant, visual arts instructor, server, as well as piano and yoga teacher. 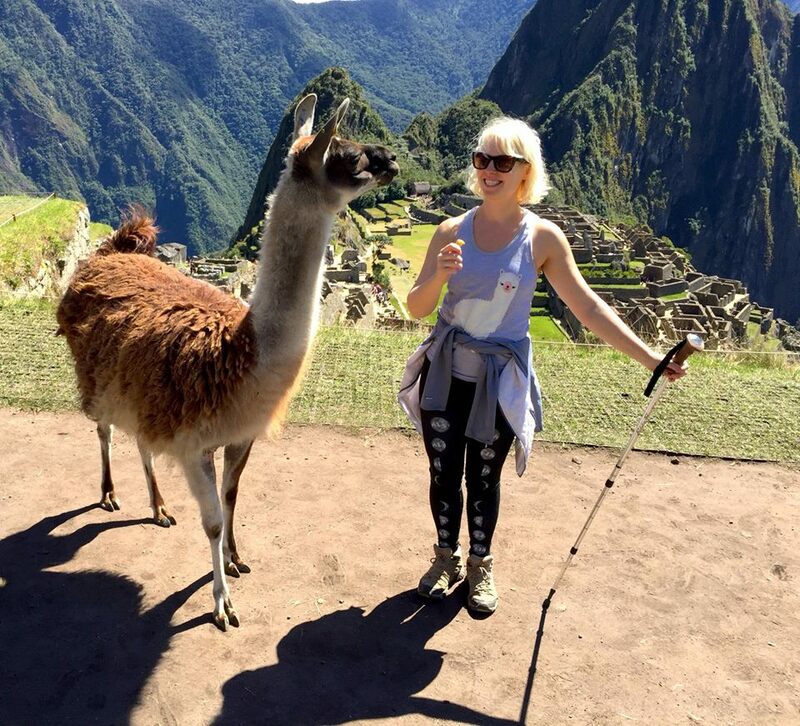 One step at a time, she overcomes fears from childhood like leaving home, traveling alone, altitude sickness, hypothermia, holding lost animals, hugging trees, embracing mysterious cultures and rituals, making new connections, and changing careers. Through some of her adventures around the world, she has climbed some of the highest mountains, trekked for weeks along pilgrimage trails, practiced yoga with masters in India, taught at International Yoga Conventions, and led multiple yoga and spiritual retreats in Southern California. As a spiritual seeker and writer, Hannah poses discussion questions that open up a world of possibility and potential within you. She draws inspiration from her surroundings and seeks to find the yoga connections between the ordinary and extraordinary daily life. Through her curiosity and adventurous spirit, she’s soaked in elements from worldwide cultures and books while combining her passions to create beauty in a variety of ways! Her philosophy aligns with that of Leonardo Da Vinci, “Learn how to see…realize that everything connects with everything else.” She is always looking for more ways to find oneness and share it through her blog, artwork (and artwork on yoga leggings), poetry, and upcoming memoir! 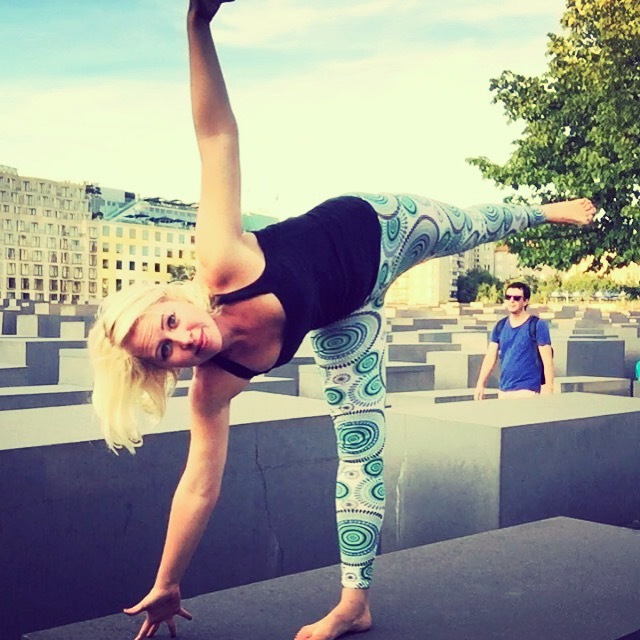 Each yoga class that Hannah offers takes you through a fun journey with a specific concept that permeates the meditation, breathing exercises, fun poses, balancing, strengthening, stretching, aromatherapy, and relaxation. She combines Hatha Yoga (holding poses) with Iyengar (using props to aid in alignment), as well as Vinyasa to flow with your breath. 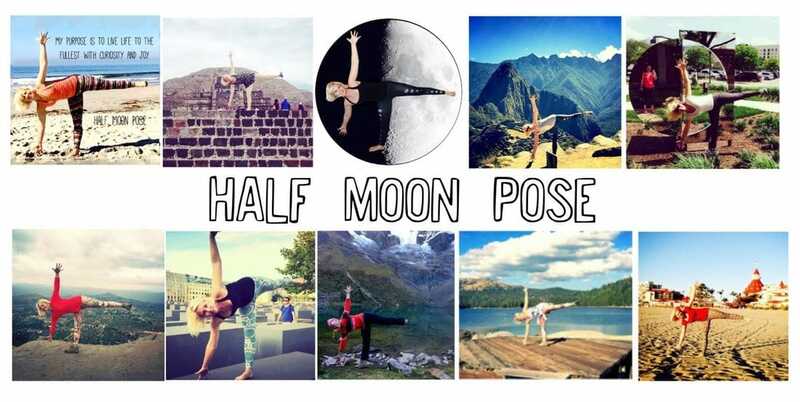 Hannah’s favorite yoga pose is Half Moon because it feels so spacious, balanced, and symbolic. Like the yin/yang philosophy, there are many contrasts in our life that are meant to be observed and appreciated: night/day, inhale/exhale, forward-bend/back-bend, hot/cold, energetic/calm, in/out, up/down, new/old, fast/slow, work/play, travel/home, left/right, clean/dirty, empty/full, difficult/easy, and young/old. 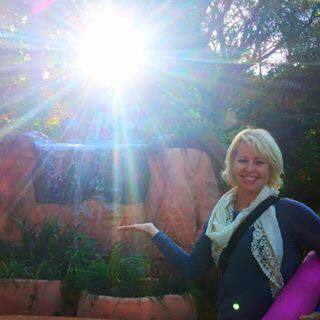 She hopes to see you soon at one of her classes or retreats! 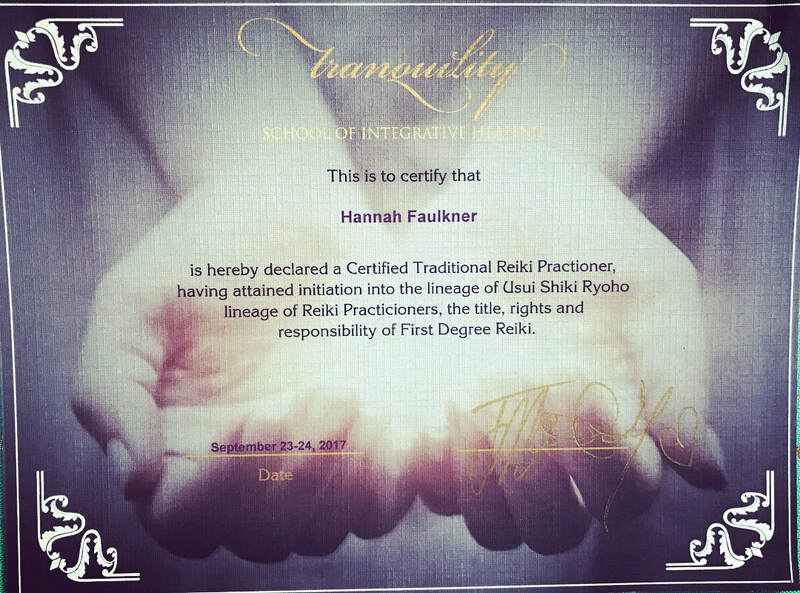 Hannah has certifications in YTT 200 Hour, Rainbow Kids Yoga, Reiki, Restorative Yoga, First Aid Basics, California Teaching Credential, and Bachelor of Arts in Liberal Studies.